8) Barcode. 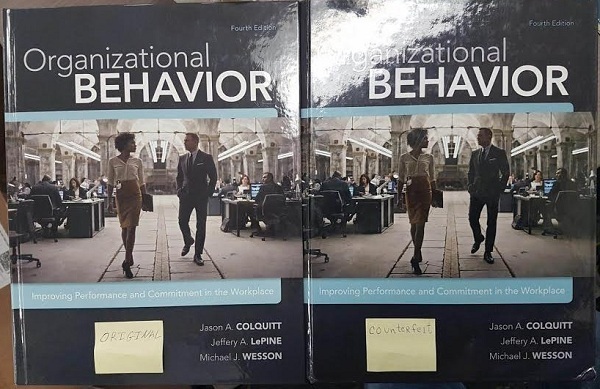 In case you don’t have any original copy to compare a counterfeit book with, you may take a look at the barcode printed on the backside of the book. 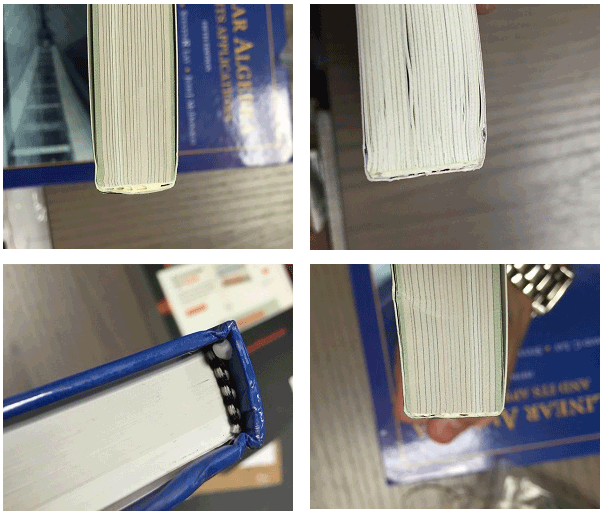 It may look slightly fuzzy like a photocopy, offset or even colored a bit (barcodes are usually black-and-white). 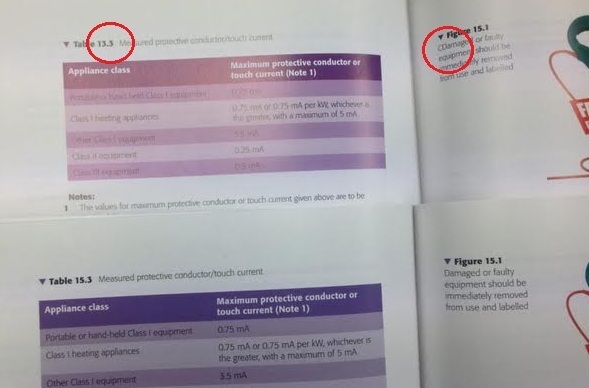 10) Typos. 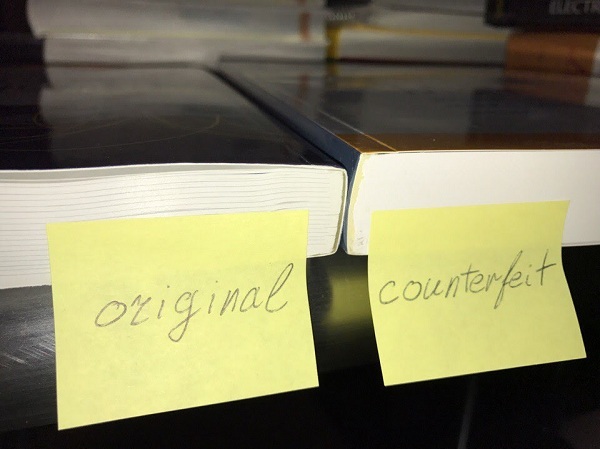 Books are scanned, and their content is copied by a special software. However, it sometimes makes mistakes and creates various typos. 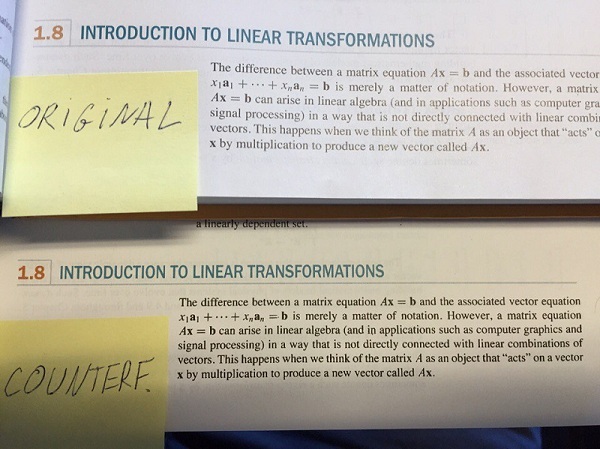 On the picture below, fake copy on top has two errors that might serve as an indicator of the book being counterfeit. 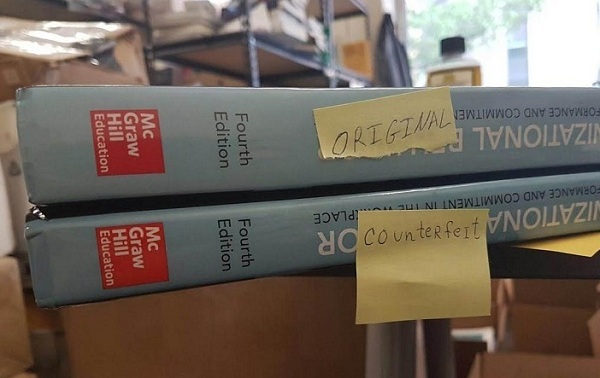 Now you know the differences between fake and real textbooks, so feel free to share this information with your friends to help them avoid the scammers. 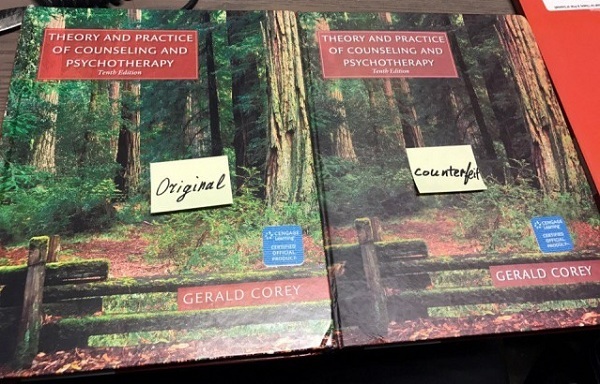 BooksRun.com is buying back and selling only legal editions of textbooks – visit our website and learn which books are accepted for buyback and why textbooks from the bookstores are so expensive. 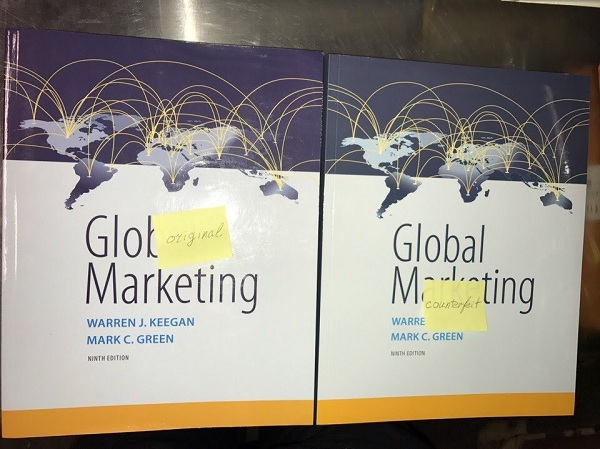 Previous Post How to Earn More on Textbook Buyback? 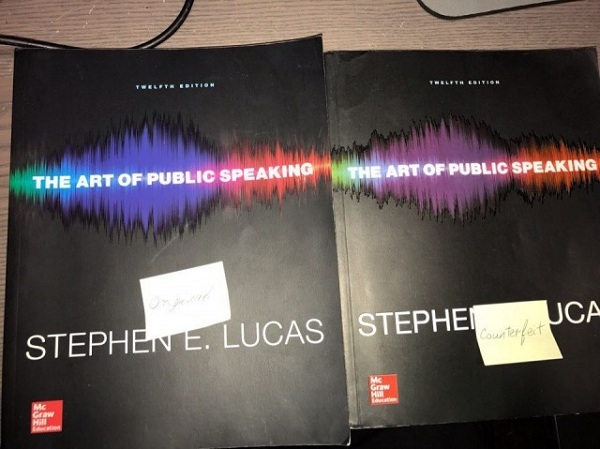 Helped me a lot in spotting inauthentic textbooks from amazon sellers. Very helpful! 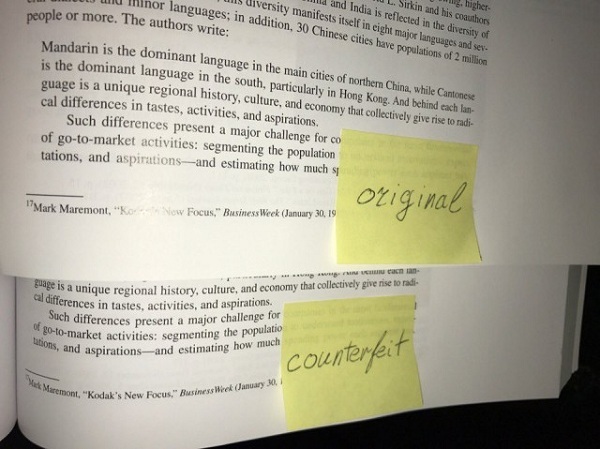 The most detailed text on inauthentic textbooks on the net.